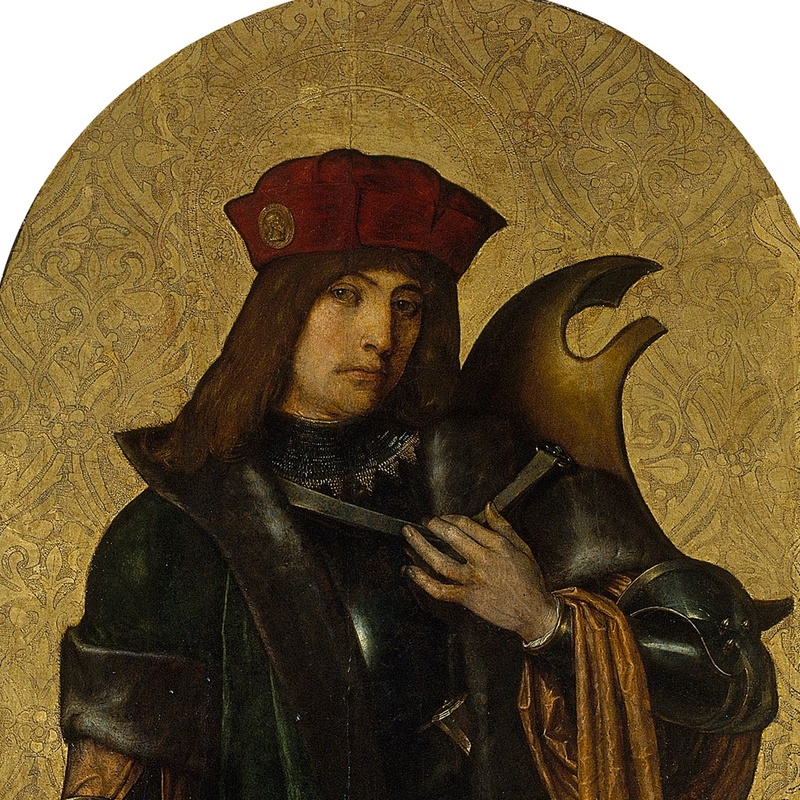 This panel, in which Saint Candidus is spendidly dressed as a knight, could have been on one of the panels of the high altarpiece from the monastery of Sant Cugat del Vallès, of which the Museu Nacional d’Art de Catalunya also preserves the Degollació de Sant Cugat. These are the only works conserved of Ayne Bru, one of the most important names from the Catalan Cinquecento , an itinerant artist, of Central-European origin and training with a clear influence of Flemish culture, even though he knew the Italian culture. The courtier pose and humanist air of this saint has been related to the style of the Venetian workshop of Giovanni Bellini, a seed of what was to be the modern maniera of Giorgione.